There are all kinds of ways to get around the Walt Disney World Resort – car, bus, boat, and even monorail! But the newest transportation service may be the one Mickey himself would choose – a “Minnie” Van! 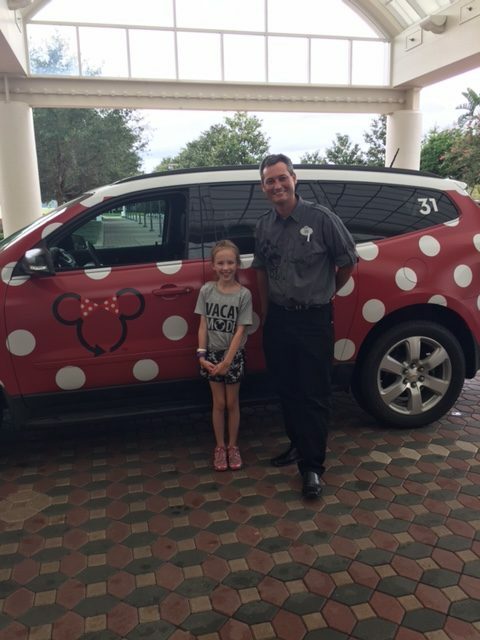 A “Minnie” Van is a Disney-operated private car service which will take you anywhere on Disney property. The car is actually a Chevy Traverse, and will hold up to 6 guests. Currently you can only book a “Minnie Van” from the Disney’s Beach Club Resort, Disney’s Yacht Club Resort or Disney’s Boardwalk Resort. We were staying at a different resort, but we’re able to ride a “Minnie Van” when we were visiting Beach Club. 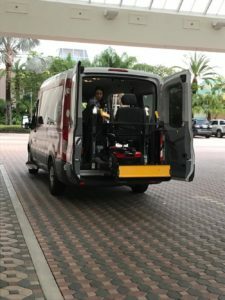 As this service begins full operation, we’ve been told you will be able to book a “Minnie” Van from any Disney resort. If you are staying at one of those resorts you will be able to book your “Minnie” Van through the Lyft app, but during this testing phase we had to book our ride in person. Just visit the transportation staff outside the lobby (look for the Cast Members in gray vests) and they can help schedule your ride. When we booked, we were fortunate in that a car was almost immediately available and we didn’t have to wait. Some of the best news is that each “Minnie” Van has two car seats available, so if you have little ones you will be able to keep them safely buckled-up. 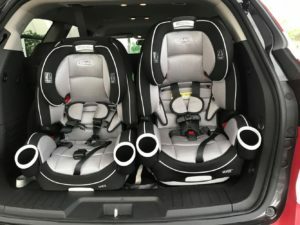 The car seats we saw could be used either forward or rear facing, so they can accommodate most children. We did not see booster seats as an option. The cars are new and beautifully equipped, with charging stations, temperature controls for rear passengers, and even front seat chillers! How magical on a hot Florida day! Our driver, Chad, was very friendly and accommodating. He was happy to answer any questions, and even help with photos. The vans are so adorable and new they attract quite a bit of attention! 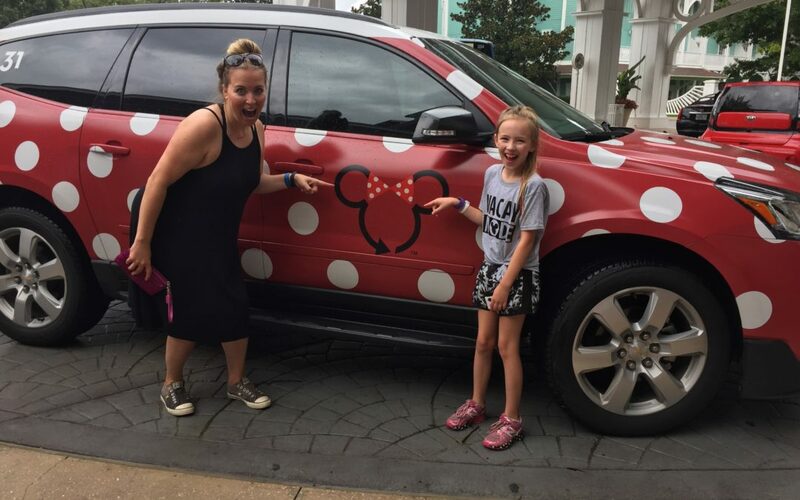 Be prepared to feel like a celebrity when riding in a “Minnie” Van! You will definitely be noticed! We were fortunate that during this testing period the ride was complimentary! Once the program is fully launched, the fee will be a flat $20 one way to anywhere on Disney property. 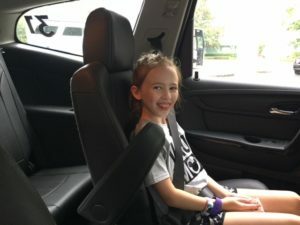 While this is more expensive than other ridesharing services, it does have the advantage of providing car seats and being operated by a Disney Cast Member. 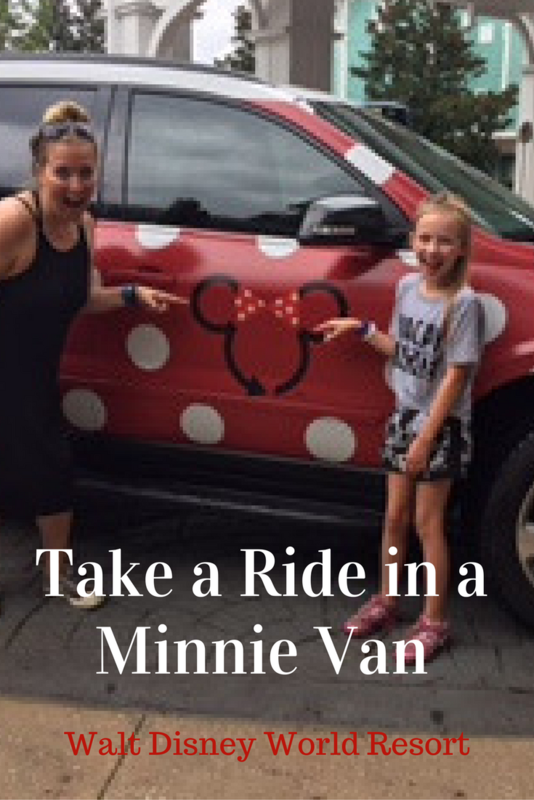 Additionally, if you are using it to get to a park, the “Minnie” Van will drop you off much closer to the main entrance than other services. For example, at Magic Kingdom the “Minnie” Van will take you to the bus stops rather than the Ticket and Transportation Center like other ridesharing services. It certainly can be useful if you need to travel from resort to resort, or if you are on a tight schedule. 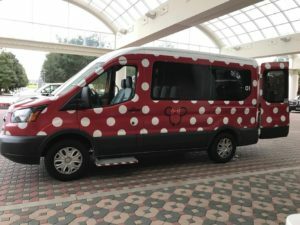 we’ve seen posted is if these “Minnie” vans will hold scooters, and the good news is Disney Magic Diva saw an actual “Minnie” Van while waiting for the Magical Express which is handicapped accessible . This van had a handicapped ramp in the back to accomodate a scooter. The guests also paid with their magic bands when done with their ride! The Disney Parks Blog made an announcement on July 31 that this service was now fully operational at Disney’s Boardwalk, Beach and Yacht Club for guests staying at those resorts. It also mentions the hours of operation will be 6:30 a.m. – 12:30 a.m. We will stay tuned for this service to be expanded to all Disney resorts as we know guests are eager to try this service. 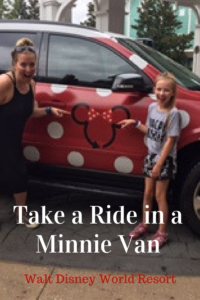 Being able to take a ride in a” Minnie” Van was one of the highlights of our trip. What do you think? Will you be riding? Be sure to click here to contact Patricia at All for Dreams Travel to get a FREE quote for your next Disney trip!